The Harley-Davidson® Street® model line is aimed at the urban rider that doesn’t plan to take off cross country but will be crisscrossing the city instead. 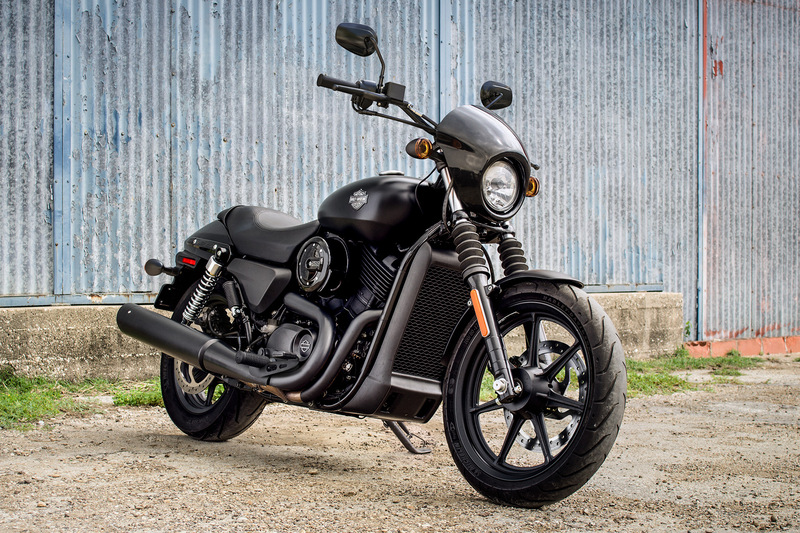 The 2016 Street® 500 is one of the smallest and most accessible bikes in the Harley-Davidson® lineup, but it doesn’t sacrifice anything when it comes to genuine Harley-Davidson® style and performance. 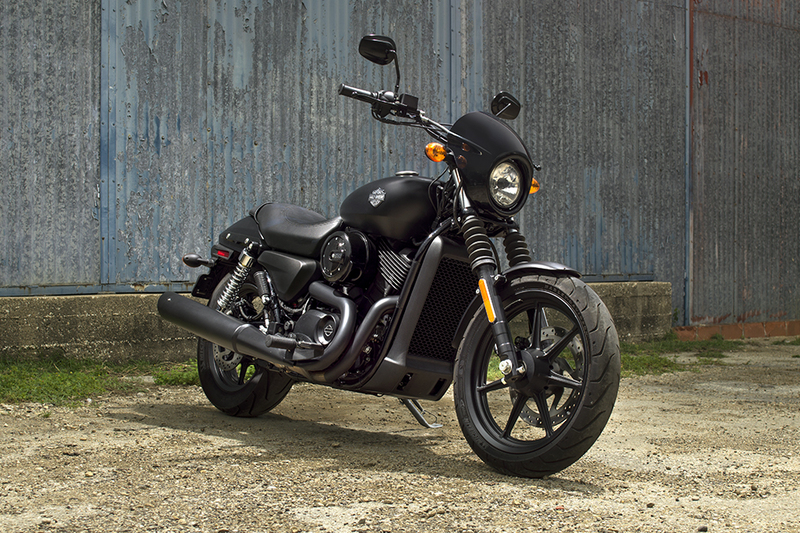 Find out about the Street® 500 before taking it out for a spin at Riverside Harley-Davidson®, serving Los Angeles and the Inland Empire, CA area. 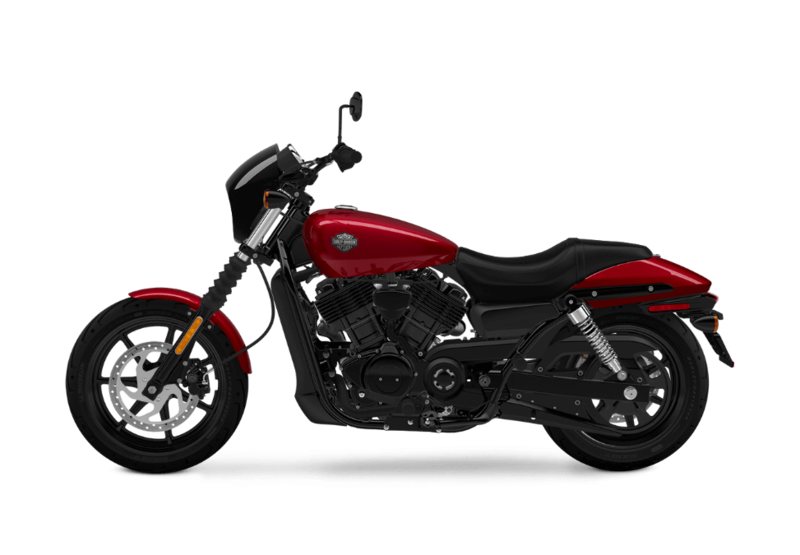 The Street® 500 is powered by a liquid cooled 500cc Revolution X™ V-Twin engine. Built to take on urban streets, this agile bike offers nimble handling and a wide array of smart features to provide you with the best ride possible. 3.5-Inch Electronic Speedometer: The large 3.5-inch electronic speedometer features trip meter, LED indicator lights, odometer, and coolant light. 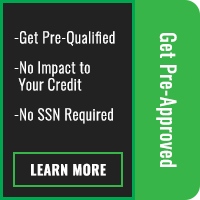 This provides all the info you need laid out in a clear, easy to read design. Six-Speed Transmission: The smooth and responsive six-speed transmission provides confident shifting and dependable acceleration at low speeds or on the highway. Tuned Shocks: The Street® is all about urban mobility. It comes with shocks that are tuned for steady handling to keep your ride smooth when you encounter the potholes and bumps all too common on city streets. 2-Up Seat: The two-up seat is great when riding solo and can easily accommodate a passenger, allowing you both to ride in comfort. 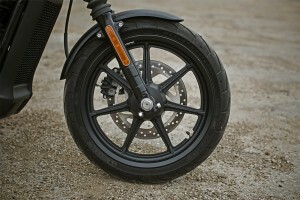 Tire and Wheels: You get a 17-inch wheel up in front and a 15-inch wheel in the rear. Both feature skinny tires that are ideal for delivering the nimble handling required for the urban landscape. 60.4-inch Wheelbase: The 60.4-inch wheelbase is short and tight, providing the ability to maneuver in and out of small spaces and take sharp turns with ease. Light Lift-Off Force: The Street® is a light and nimble bike with an extra low center of gravity. This makes it easy to lift off the side stand and get rolling with no delay. Low Seat Height: The low seat is just 28 inches off the ground, making it easy to set your boot on the ground as you wait for the light to change. It also accentuates the low center of gravity, giving you the agile handling you need to deal with sharp turns and heavy traffic. Single Disc Brakes: City streets present their own challenges and it’s important to have a brake system you can rely on. The single disc front and rear brakes of the Street® 500 come with dual piston calipers to give you the dependable stopping power you can trust. Mid-Mount Controls: The mid-mount controls allow you to settle into a relaxed riding position that’s comfortable and helps keep you in command. Easy to Control Handlebars: The front end geometry is designed to make it easier than ever to swing the bars lock-to-lock for quick and responsive handling. 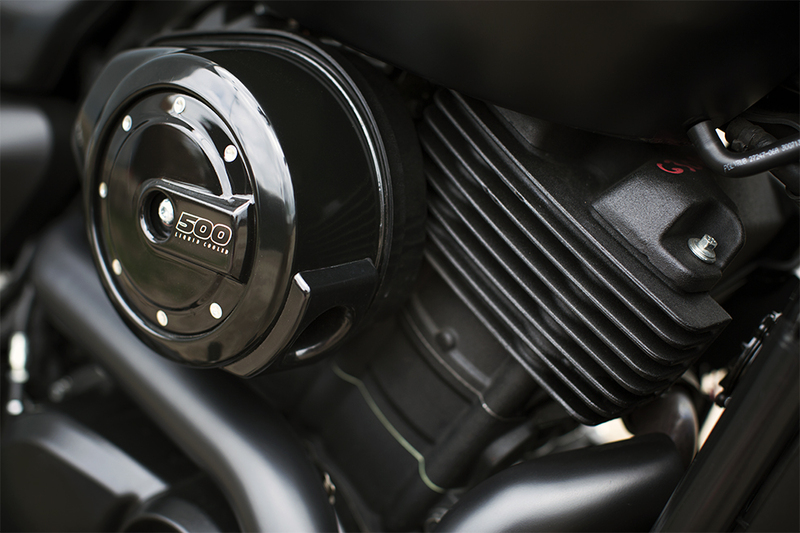 Revolution X™ Engine: Liquid-cooled and featuring a 494cc displacement, the Revolution X™ engine provides all the low end torque you need right out of the gate. Advanced motor tech and the impeccable Harley-Davidson® craftsmanship make this a spirited and dependable power source. Ergonomic Brake and Clutch Lever: With all of the stop and go traffic you get on city streets, you’ll appreciate how both the brake and clutch levers are both easy to reach and set in a comfortable position. Improved Neutral Switch: You can drop into neutral whenever and wherever the need arises with the improved neutral switch. Foundation Brake System: Large rotors, big pistons, and an upgraded master cylinder combine to make the Foundation Brake System completely reliable. All that superior stopping power will definitely boost your confidence. Rake and Trail Angles: The Street® 500 benefits from the advanced engineering of its chassis geometry. The rake and trail angles are precisely set to give you the best possible handling at low speeds, as well as the steady, true ride you want when taking it out on the highway. 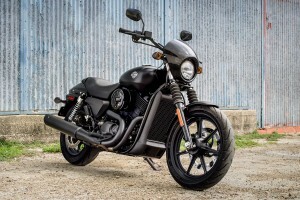 The Street® 500 is a small, affordable bike, but it doesn’t skimp on providing the authentic Harley-Davidson® styling that Los Angeles and Inland Empire riders love. Premium Paint: The premium paint and high-quality finish of the Street® 500 is distinctive and eye-catching. With rich, flawless color, this paint looks great and is exceptionally durable. Belt Final Drive: The belt final drive is ideal for a city bike. Combining smooth performance with low maintenance, it will keep you rolling, mile after mile. Locking Gas, Fork Lock, and Ignition: The locking gas cap, fork lock, and ignition lock are a must for protecting your bike, especially in the city. The Street® 500 provides all of the above standard. 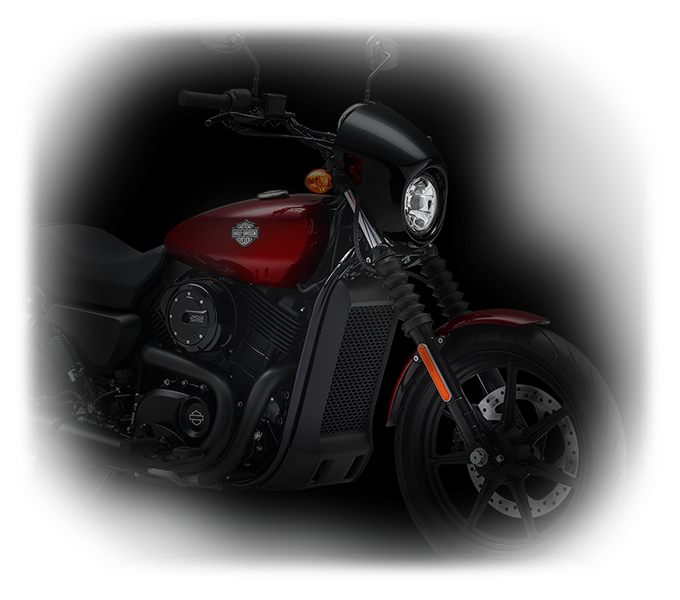 True Harley-Davidson® Sound: You can count on the Revolution X™ V-Twin engine of the Street® 500 to provide that authentic Harley-Davidson® exhaust note. Even though it’s one of the smallest bikes in the lineup, it still provides that satisfying, deep growl that riders live by. 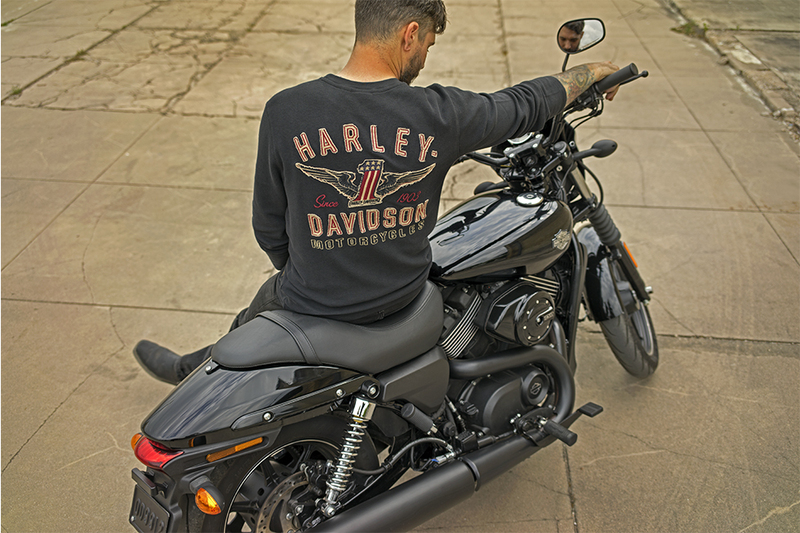 Premium Harley-Davidson® Details: The Street® 500 comes with fine detailing from end to end. 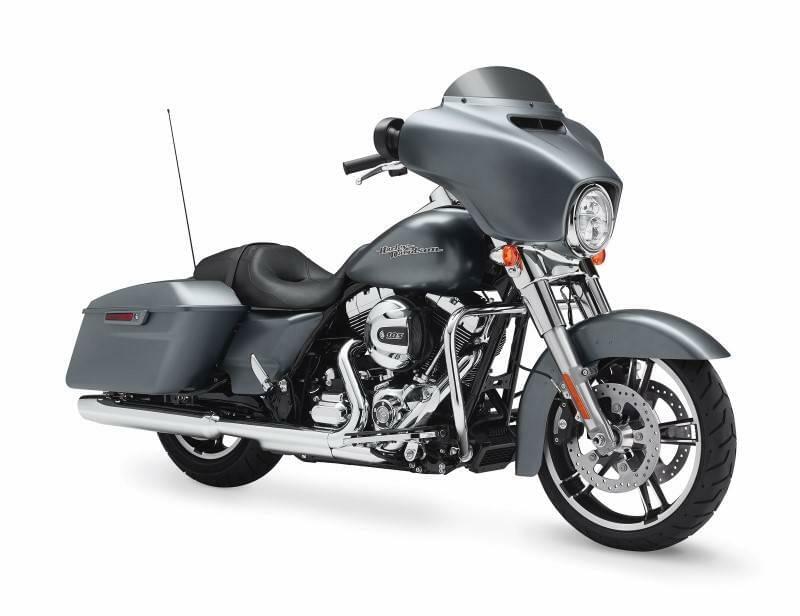 Paint matched steel fenders, the classic teardrop tank, chrome badges, and premium finishes all add an unmistakable, high-quality look that is hard to miss. 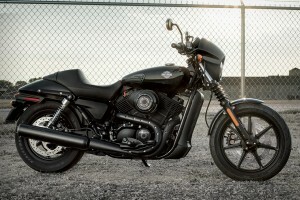 Metal Tank and Fenders: Authentic styling is an important part of all Harley-Davidson® motorcycles, and in this department the Street® 500 will not disappoint. The fine craftsmanship apparent in the teardrop fuel tank and paint matched fenders add that pure, classic style. Cafe Speed Screen: The custom café racer inspired speed screen not only looks sharp, it also adds protection from all kinds of road debris. LED Tail Light and Mini Bullet Turn Signal: Keeping the style clean and modern, the LED tail light and mini bullet turn signal fit with the overall design of the Street® 500. They’re also exceptionally bright, giving you the important visibility you need beneath street lights or on the darkest roads. The Street® 500 comes with plenty of first-rate features, but it is also a great choice if you want to add some custom touches of your own. Either way, you’ll appreciate all that this bike has to offer. Blacked Out Front End: The black fork gators and lowers, black speed screen, and black handlebars provide a dark custom style to the front end. 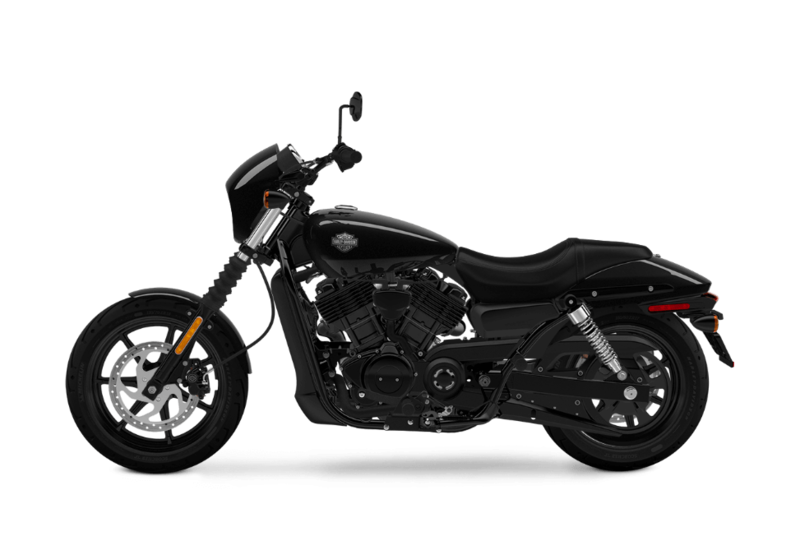 Black Two-Into-One Exhaust: Low and mean, the blacked out two-into-one exhaust features an upswept black muffler that is distinctive and loaded with attitude. 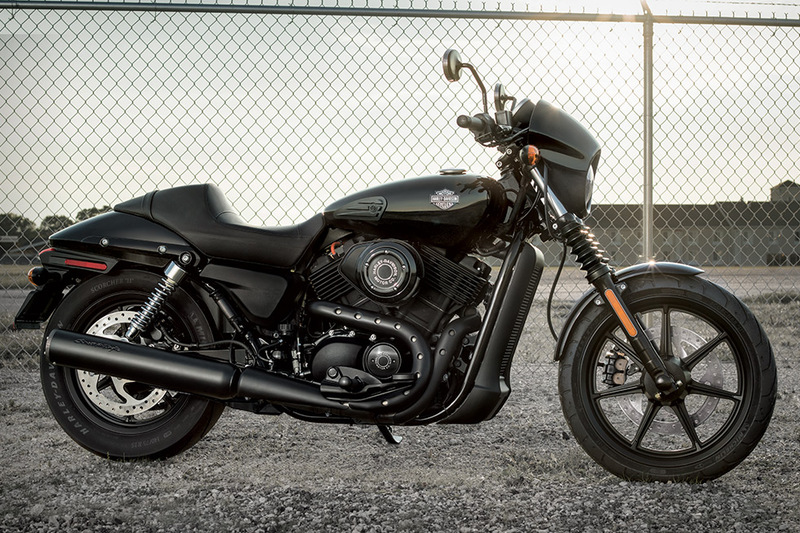 Blank Canvas: The minimal, blacked out style of the Street® 500 looks great straight from the factory, but if you’re looking to add some custom upgrades, just check out the H-D® catalog for high-quality parts and accessories. 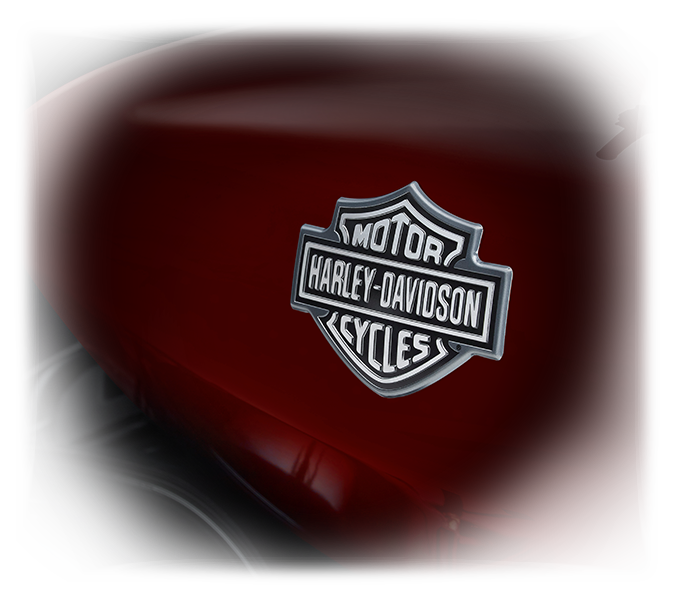 Chrome Tank Medallion: The classic tank medallion is pure chrome and a bold badge of pride for any Harley-Davidson® rider. Black Cast Aluminum Wheels: The blacked out alloy wheels sport seven-spokes and fit perfectly the low-profile look of the Street® 500. They’re also lightweight which enhances both quick acceleration and nimble handling. 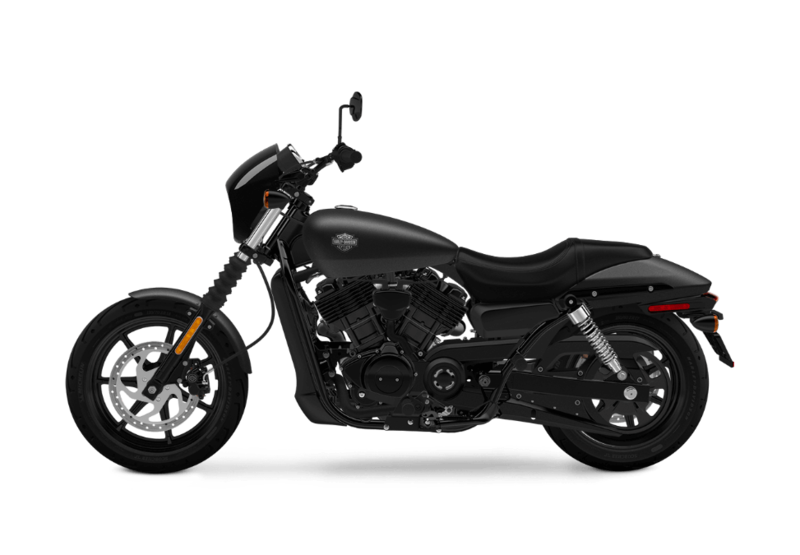 Revolution X™ Engine: The V-Twin of the Street® 500 has a blacked out styling just like the rest of the bike. The blacked out heads, air cleaner, cylinders, and polished metal fins look tough and mean. 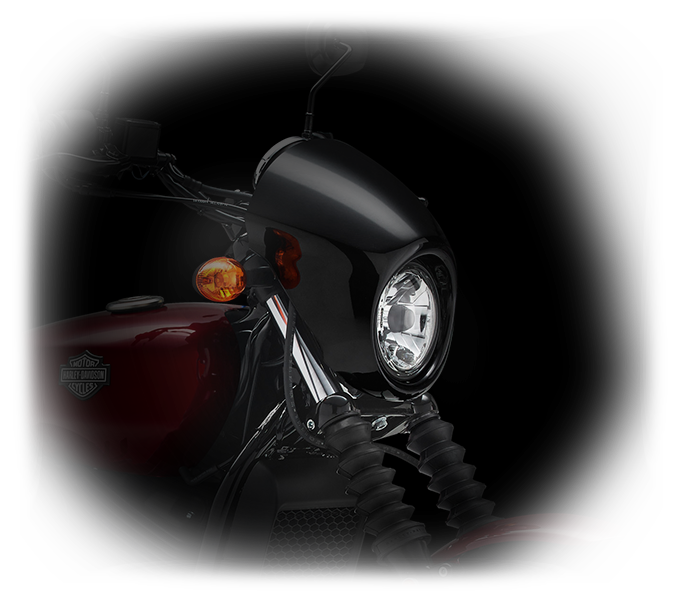 Day or night, this bike just gleams with dark custom style.